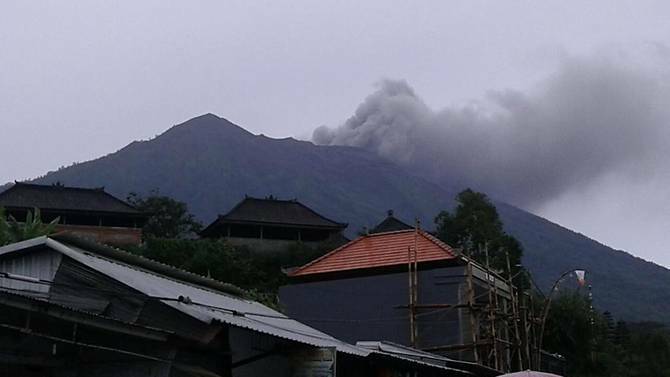 Mount Agung belched smoke as high as 700 metres above its summit, as it stirred to life again after more than 140,000 people fled homes around the crater last month for fear the volcano would erupt. 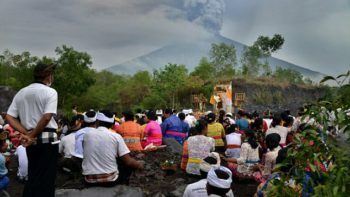 Nearly 1,600 people died when Agung last erupted in 1963, but officials said Tuesday that the rumblings did not pose an immediate threat to those living in its shadow. The alert level has not been raised, according to Made Indra, from Bali’s disaster mitigation agency. “The eruption is still ongoing. 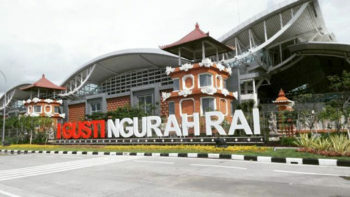 Residents should remain calm and follow the PVMBG’s recommendations,” Sutopo Purwo Nugroho said on his Twitter account. 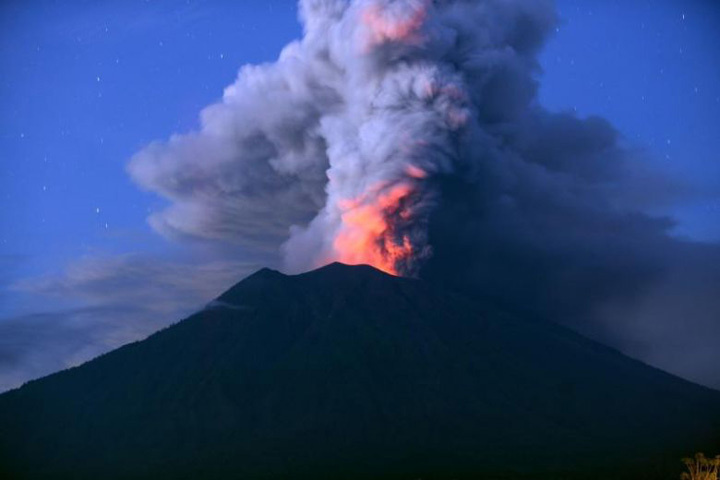 But local volcanologist Gede Suantika added that “people within six kilometres of the mountain (summit) should evacuate”. 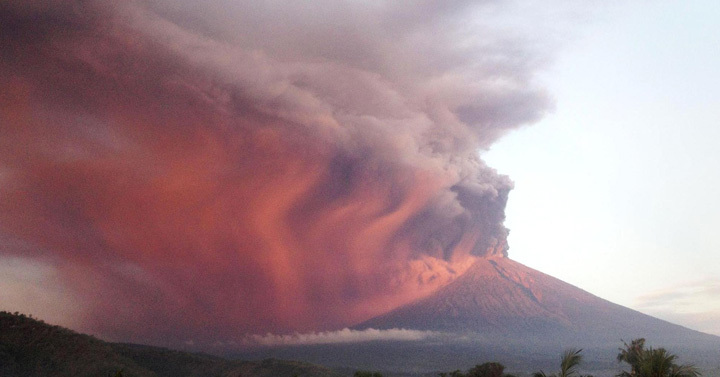 Agung has been rumbling intermittently since August. 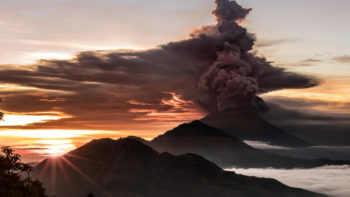 Officials estimated concerns about an eruption over the past few months had cost Bali at least US$110 million (S$150 million) in lost tourism and productivity as many local residents moved to shelters. According to the Sydney Morning Herald, an Indonesian government press release said a potential danger was heavy ash rain that could spread outside of the danger zone. “It is expected that all communities living around Mount Agung and on the island of Bali, immediately prepare a mask to cover the nose and mouth and eye protection as an effort to anticipate the potential danger of volcanic ash,” the government said in its statement. 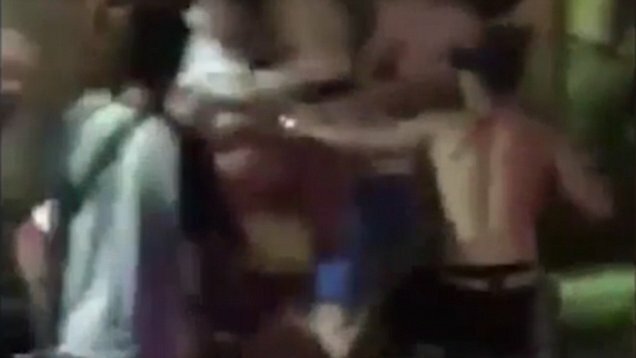 Meanwhile, operations at Bali’s international airport continued as normal, reported the SMH.